At Shull Chiropractic Clinic, PLLC we love when patients share with us their feedback and comments after chiropractic care. Athletes share their experience receiving treatment from us. For more information or to schedule an appointment call or email us today. 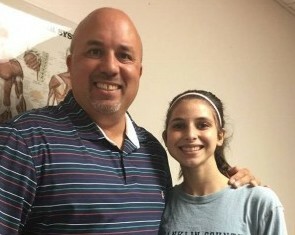 I first came to Dr. Shull when I hurt my ankle playing soccer. I was back playing in 3 weeks. I had intense therapy several times a week including dry needling, ultrasound and manipulation. I also run track and placed in the State of Tennessee and Alabama. I will continue my care with Dr. Shull to ensure that I will be my best. 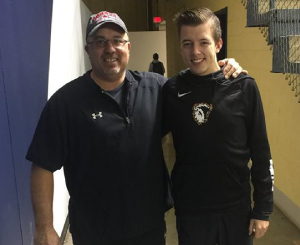 “My name is Eric Shull and I am a senior at Milligan College where I have been studying Biology/Pre-Med and running cross country, indoor track, and outdoor track. 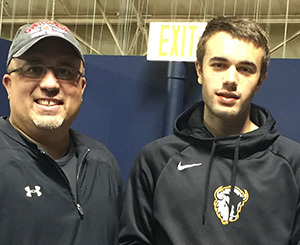 I have enjoyed success in my long distance running career at Franklin County High School and Milligan College. So far I am the only male to ever qualify for state in cross country at FCHS. My collegiate career consists of being a part of two NAIA cross country national qualifying teams. In my younger years I was part of a USATF 4×100 national qualifying team called the Tennessee Cheetahs. I have been receiving chiropractic care from my dad, Dr. Kurt Shull, ever since I was born. I am convinced that the chiropractic care and healthy lifestyle from a young age is one of the key reasons I have been able to run at a relatively high level for almost ten years with minimal injuries. My Dad and the health benefits of chiropractic has inspired me to follow in his footsteps and pursue a career in chiropractic. I have been accepted to Life University in Marietta, Ga where I will begin my journey of becoming a Doctor of Chiropractic.” Eric S.
“My name is Nathan Baker and I run track and cross country for Milligan College in Tennessee. I have been seeing Dr. Shull for the past year and a half now since I moved here from my hometown of Middlesbrough, England. I have been having problems with my upper back from sitting at a desk all day and training regularly. Treatment from Dr. Shull has relieved my symptoms and I now visit regularly as a preventative measure. Ever since visiting Dr. Shull, my running has reached a new level. This includes winning the NAIA 3000 meter Indoor National Championship as a freshman and running 14:58 minutes for a 5K. Thank you so much Dr. Shull for relieving me of my symptoms and for bringing my running career to new heights.” Nathan B. 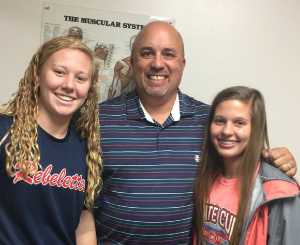 My twin daughters, Chyenna and Chesney Luttrell, have been seeing Dr. Shull for several years now for various injuries mainly from sports. I like for them to stay well without medicine and invasive care as much as possible. Chy has had trouble with a thigh, hip, and ankle injury. The chiropractic care from Dr. Shull has been amazing along with the dry needling. Both have helped to keep her performing at her best. Chesney has had hip and wrist problems from playing goal keeper in soccer. The chiropractic care over the past few years has kept her moving better and with limited pain. 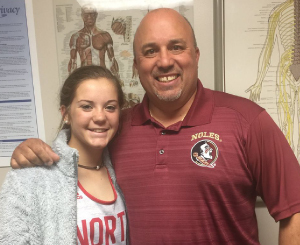 I feel that the chiropractic care that they both receive allows them both to play at their best at the high school level and it helps to prevent further injuries from occurring. I also feel that is a definite positive that we are dealing with these injuries the natural way and not masking the symptoms with drugs. Nikki L.
Ready to get started on your own road to wellness? Call Shull Chiropractic Clinic, PLLC today!